Showing 1 - 20 of 476 results. 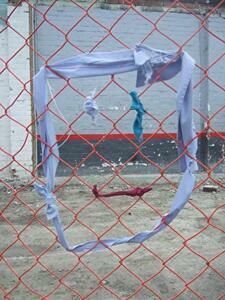 Photograph captioned by BeckerFraserPhotos, "A cordon fence recently put up around the Gloucester Street car park". A photograph of the intersection of Gloucester and Colombo Streets. 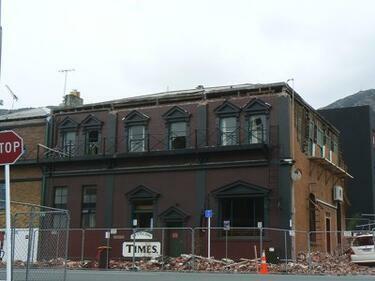 A photograph of a damaged building in Lyttelton. 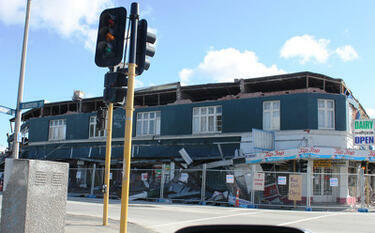 A photograph captioned by Paul Corliss, "Merivale, post 22 February earthquake". 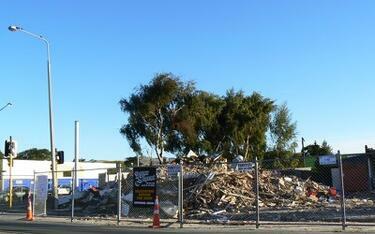 A photograph captioned by Paul Corliss, "Linwood dairy, demolished March 2011". 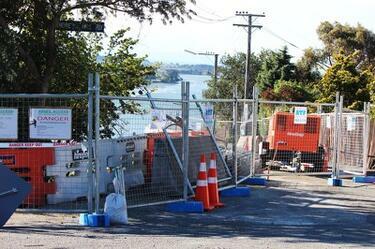 A photograph of road works at the corner of St Andrews Hill Road and Rangatira Terrace, Mount Pleasant. 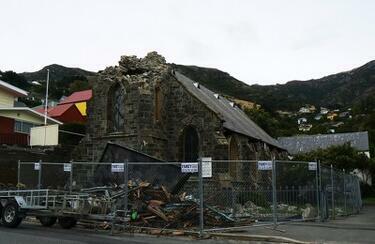 A photograph of damage to St John's Church, Lyttelton. A photograph captioned by Paul Corliss, "Sydenham. 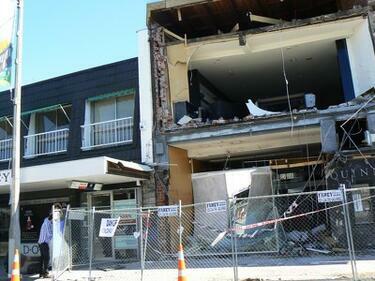 Earthquake 4th of September 2010". A photograph of the site of a demolished building on the corner of Bealey Avenue and Victoria Street. 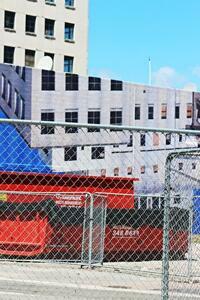 Wire fencing has been placed around the site as a cordon. 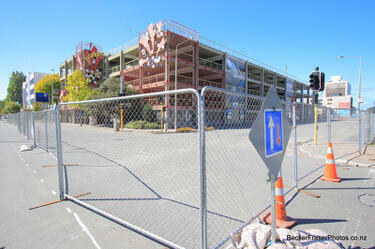 Signs on the fence indicate that many of the businesses which were in the area have moved and are still open. 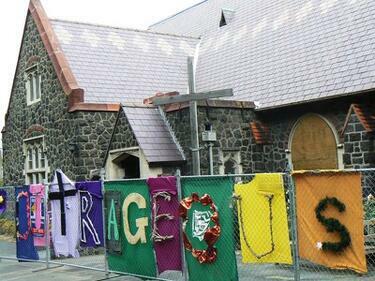 A photograph captioned by Paul Corliss, "St Barnabas Church, Fendalton Road". A photograph captioned by Paul Corliss, "Mattisons Pub, old Crown Hotel. 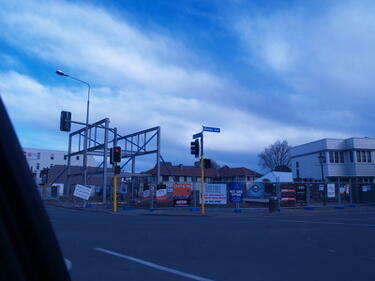 Moorhouse Avenue. 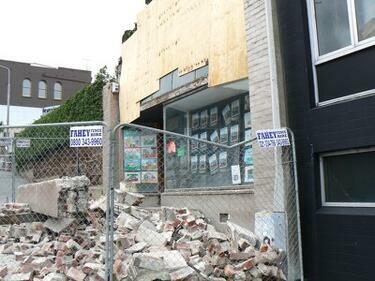 Earthquake 4th of September 2010". 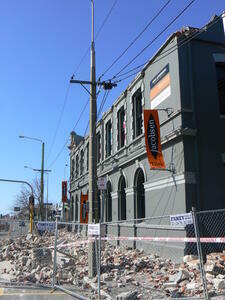 A photograph of the earthquake damage to a building on the corner of Hereford and Madras Street. 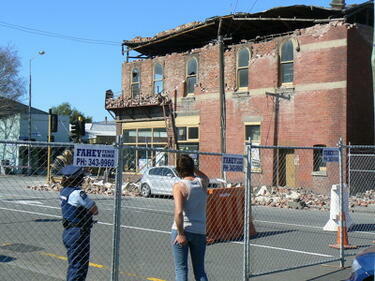 Sections of the façade have crumbled, bricks spilling onto the road in front. 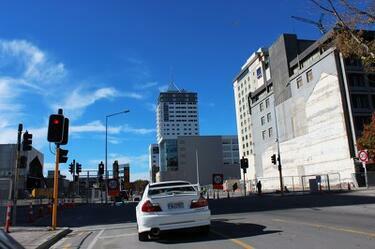 Wire fencing has been used to block off half of Madras Street. 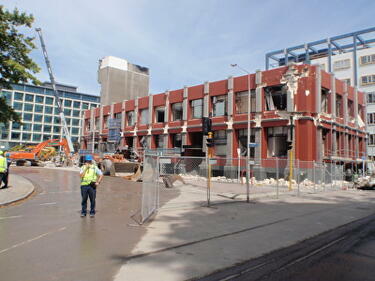 In the background, emergency management personnel are working through the rubble of the CTV building site. 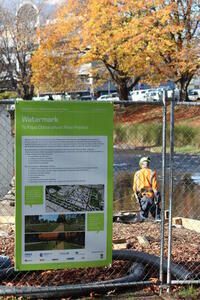 A digger and a crane are parked on the site. 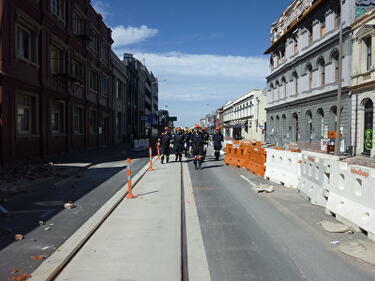 A photograph of the Wellington Emergency Management Office Emergency Response Team walking down Lichfield Street. Plastic fencing and road cones have been placed along both sides of the road as cordons. 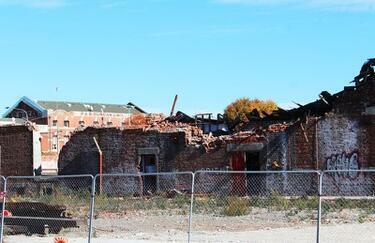 Behind the fences are piles of bricks and other rubble from the buildings above. 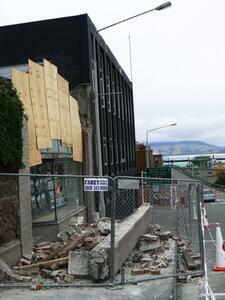 A photograph of the east side of the Odeon Theatre, showing the severe damage at the back of the theatre.